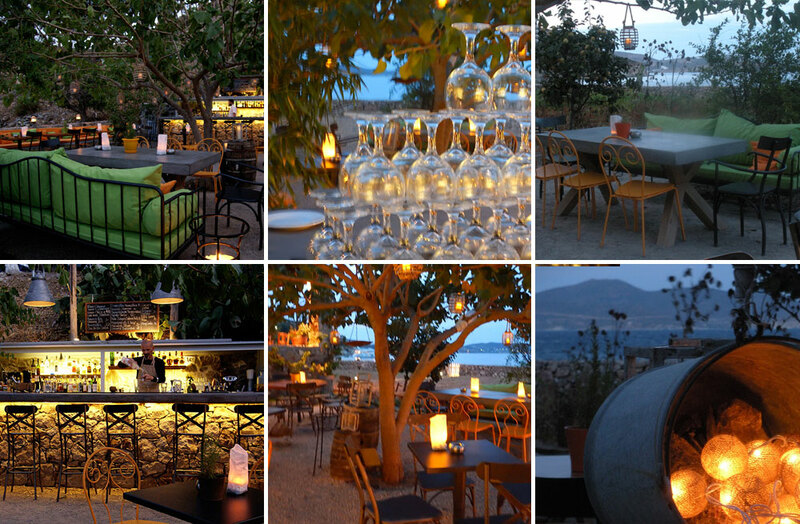 The restaurant is located just outside the town of Skala on a quiet inlet known as Sapsila overlooking the Aegean Sea, creating a relaxed, romantic atmosphere. 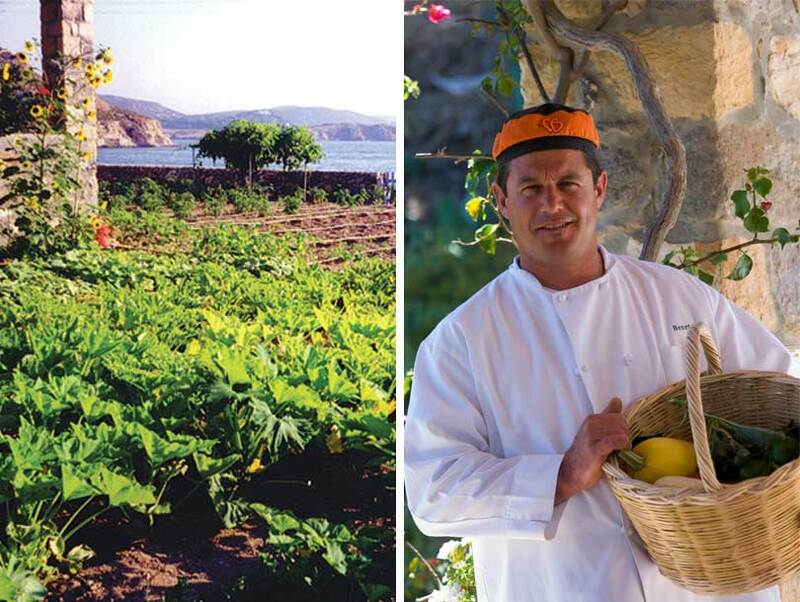 Benetos Restaurant, owned by Benetos and Susan Matthaiou, opened in Patmos, Greece in the summer of 1997. The restaurant is located just outside Patmos’ town of Skala, on a quiet inlet known as Sapsila. The 14 tables are located on a spacious veranda overlooking the Aegean Sea, creating a relaxed, romantic atmosphere. Benetos uses a modern approach to classic Mediterranean cooking, while also including some Asian-influenced dishes. The eclectic menu is a result of extensive traveling and sampling unique regional dishes throughout Europe and the United States. 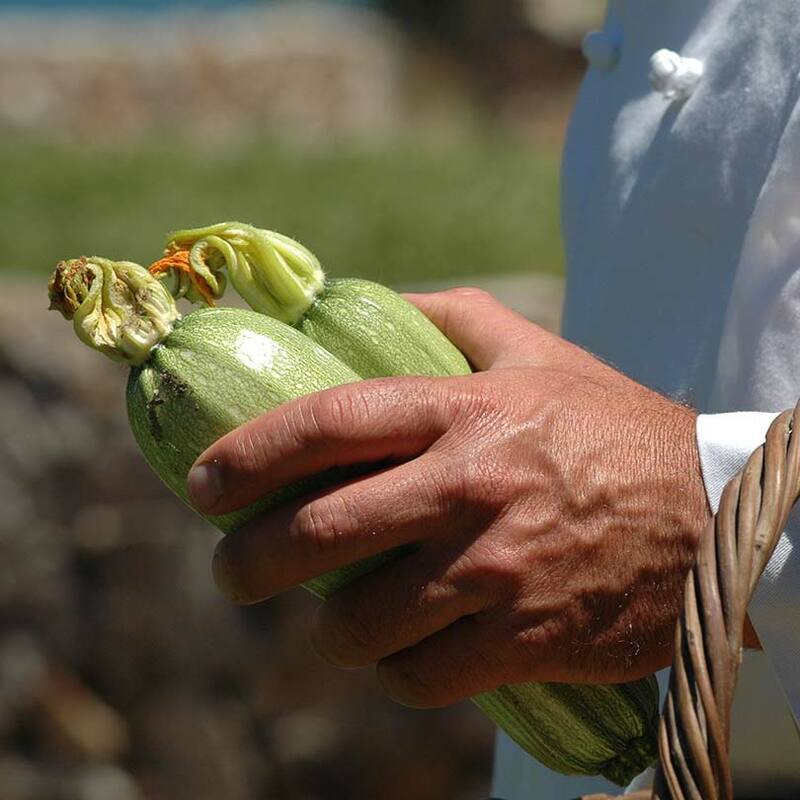 Emphasis is placed on utilizing the freshest ingredients including local fish, and fresh vegetables and herbs from our own organic garden, located in front of the restaurant. Homemade bread and desserts are baked on the premises daily. We offer an extensive wine list consisting of the best wines available in Greece. Our service is attentive and friendly. The restaurant is open from June through September. We are only open for dinner and we close on Mondays. All major credit cards are accepted. Reservations are recommended and taken by phone. Benetos Matthaiou is the chef and co-owner of Benetos Restaurant. He was born and raised on the island of Patmos. Since childhood, he was interested in gardening, fishing and cooking, especially grilling the fresh fish he caught himself. His first teacher was his mother. He then became a cook in the Greek army. Upon finishing the army, he baked bread in a local bakery for several years. Benetos then began spending winters in Miami where he cooked in the restaurants of acclaimed chefs, including Michael Schwartz and Andrea Curto-Randazzo, gaining invaluable experience. In his own restaurant, Benetos uses a modern approach to classic Mediterranean cooking, utilizing the freshest local ingredients, including herbs and vegetables from his own garden. We have recently added an outdoor bar in our garden, serving creative cocktails which complement the Mediterranean tapas created in Benetos’ kitchen. The atmosphere is casual and relaxed, and reservations are not required. Our bartender can also customize your own personal drink using fresh ingredients from our garden. Open every evening at 19:30 except Mondays.